Over the next few months, Norman lets me hear the recording in its various stages of development. There are layers of vocals put on and taken off, string and horn sections edited or deleted, countless re-mixes. Finally, I get to witness the last step, which is the mysterious mastering process that sets Motown apart from all the rest! This is when I meet Iris Gordy, head of Quality Control, who allows me to watch and listen as she performs her magic, not only bringing out the best of what’s on the tape, but also doing things to it that will make it jump out at you, when it’s played on the radio. The Temptations “soon to be classic” is finally released and zooms up the charts. I run into Norman Whitfield in the lobby of Motown, the day the song hits #1 on the Billboard charts and congratulate him. The next time I see him is at the pre-award Grammy TV show, in 1973 where as a member of the board of Governors, I present him with three Grammies. One for the best vocal R&B vocal performance by a group, and its b-side won for Best R&B instrumental (awarded to Whitfield and arranger/conductor Paul Riser), and Whitfield and Barrett Strong won for best R&B song of the year as the song’s composers. Norman was a giant among the greatest talents the world of music has ever known, with a heart to match, and I was privileged to have known him. 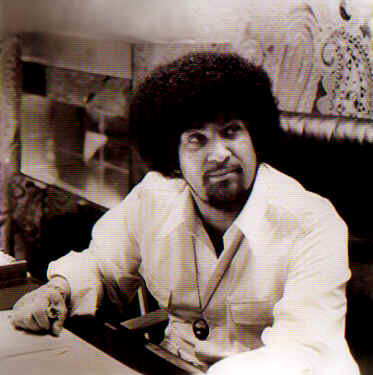 Norman Whitfield, R.I.P. Rock In Perpetuity! Tags: Iris Gordy Quality control, motown records, Norman Whitfield R.I.P. Rock In Perpetuity, papa was a rolling stone, temptations, Three Grammies for "Papa Was A Rolling Stone"
Thanks for sharing your memories of Norman with us…. he wrote some cool songs…. As you may know, some stations – including my local oldies one – are airing 1970’s episodes of “American Top 40.” Well, whoever picked today’s rerun must have known something – the countdown was from mid-September 1970, and the #1 song was Edwin Starr’s “War” – which, to me, ranks up there with “Papa Was A Rollin’ Stone” as the supreme achievement of Norman Whitfield. RIP, Norm. Norman introduced me to a completely different (for me) approach to commercial songwriting and production. The things I learned from him were maintained and I still draw upon those lessons. He was an amazingly talented individual and has certainly left behind a huge volume of great work. « PREVIEW ALAN O’DAY’S AMAZING NEW CD!